Toby Marks, aka Banco de Gaia, has gone from strength to strength with each successive recording. 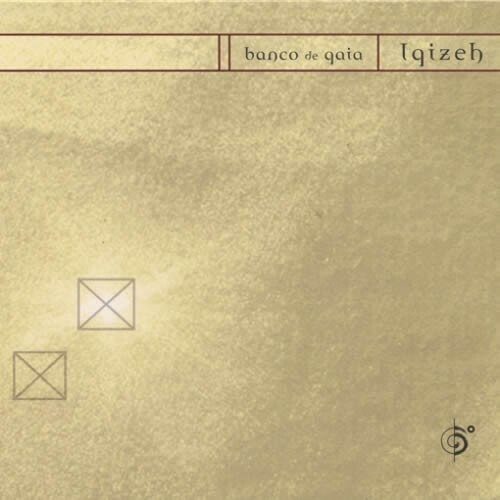 Leaving his trancey roots far behind, the sizzling morphed worldwide grooves of IGIZEH reveals Marks finest document yet.Forget the conceptof fourth-world music; this is multi-world music, sounds extracted from far-flung cultures and even farther-flung machinery. The pumping synths and whooshing jungle strings ofSeti I, complete with Indian chant, could be the track aboard Voyager that sets extraterrestrial visitors on an immediate sortee to Earth. Creme Egg uses tribal drumbeats and whirring electronics in making its presence known, while theelectronic vocalising, exotic percussive accents and pockettrumpet sounds of Gizeh sound like they arose out of the seventh circle of hell. And if things werent psychedelic enough, Marks pulls out all the stops on the Calcutta cybercafe calculus of How Much Reality Can You Take?, which positions techno-trance music as the penultimate sound of the casbah.Turn on, tune in, bliss out.